LOUISVILLE, Ken. — Rosetta Hardscapes ended the 2017 summer landscaping season by recognizing the outstanding landscaping projects produced by Rosetta Manufacturers across North America. Awards were presented to R.I. Lampus Company, Oberfields LLC, Brown’s Concrete and Midland Concrete Products during the Hardscapes of North America trade show on Oct. 19. More than 50 different projects contended to win the awards and only four were chosen. The projects were selected based on the creativity exhibited, high quality of work, project scale, leverage of Rosetta products and service provided by the company. This year’s winner in the Paver/Slab category was Midland Concrete Products based in Marshalltown. When a client needed a practical, but attractive patio around their pool area, Midland Concrete Products had just the right thing to finish off the client’s lounge area with a touch of class. Contractor Ground Breakers Landscape and Design installed Rosetta’s Dimensional Flagstone pavers, rectangular pavers pre-cut to different sizes, to create a perfect, level pool deck area while Rosetta’s Belvedere collection gave a rustic appeal to terraced outcroppings leading down to the pool side. Midland Concrete Products distributes Rosetta products all over the Upper Midwest through Midland Concrete Products, King’s Materials and their dealer network. They offer Rosetta Hardscapes’ full line of wet cast concrete landscaping products, including retaining walls, patio pavers, fire pit kits and accessories. 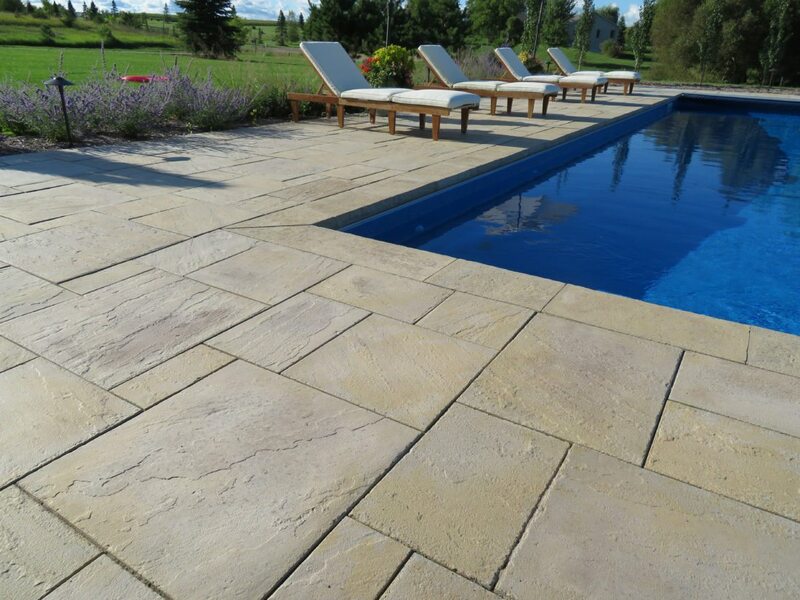 Its unique, natural appearance and easy installation processes make Rosetta an increasingly attractive option for landscape professionals across North America. While Anytime Fitness doesn’t actually recommend burning your turkey to a crisp this Thanksgiving, the fitness franchise does recommend burning turkey calories. For the second year in a row, Anytime Fitness is helping its members and the general public keep the holiday weight off with its #BurnTheTurkey campaign. According to the Calorie Control Council and the American Council on Exercise, the average American consumes 3,000-4,500 calories and a whopping 229 grams of fat during a typical Thanksgiving gathering. As a result, Anytime Fitness is helping Americans work off some of those butter-laden mashed potatoes and pumpkin pie through tips showcasing a series of fun, exercise improvisations. Anytime Fitness invites people from Marshalltown and surrounding communities to share their own #BurnTheTurkey ideas from Nov. 13-24 on Facebook, Twitter and Instagram. In addition, for each original photo or video submitted using the hashtag #BurnTheTurkey, Anytime Fitness will donate one meal to Feeding America to help families in need this holiday season. And to provide extra support during the busy holiday season, Anytime Fitness will be hosting a food drive in the gym. Members and the general public are invited to participate by dropping off non-perishable items to the club between Nov. 13-24. In the spirit of Christmas, Menards home improvement store, 504 Iowa Ave. West, is serving as a toy drive drop site. Menards have a drop box near the exit door to collect new and unwrapped presents from now through the end of November.